Hello! I’m back with another choker DIY. The last week I was experimenting with metallic acrylic paint. I bought a Rose Gold color paint from Target, which came out to be much prettier on polymer clay than I expected. I’ve made a few other polymer clay roses, which you could reference here. Following those same steps as the previous roses, I made a super small one and before I baked it, I made a hole through the rose and painted it with the acrylic paint. After I baked it (around 2-3 mins for 3 little roses), I let it cool and then inserted a head pin into it. Don’t over bake it like I did though, it seems to burn really easily with the paint. Then with some pliers, I made a hook at the top. I wanted a really rustic look so I used brown suede cord as the base of the necklace. To make it a little more flexible, I made a loop (the same way you would tie a bow) so I could adjust the length whenever I need to. Then I attached a closure, inserted the rose and then repeated with making a loop on the other side. 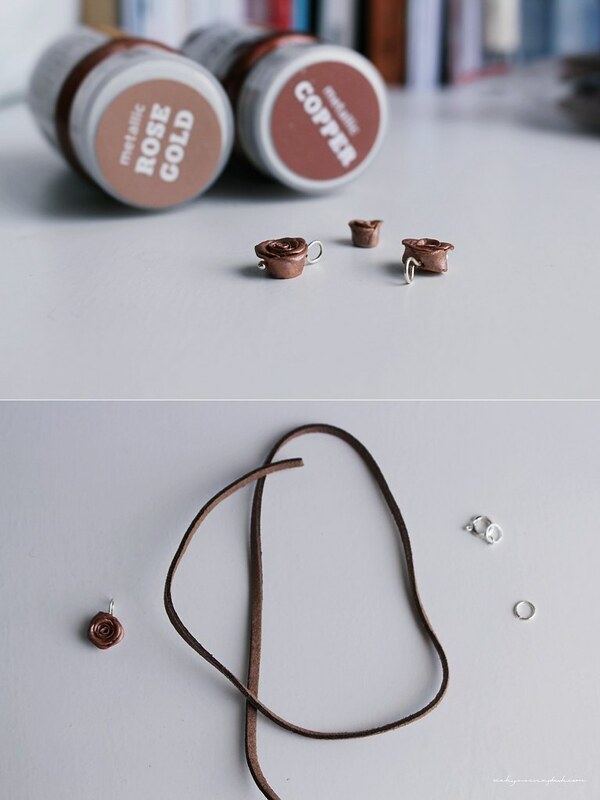 Do you enjoy making your own necklaces? 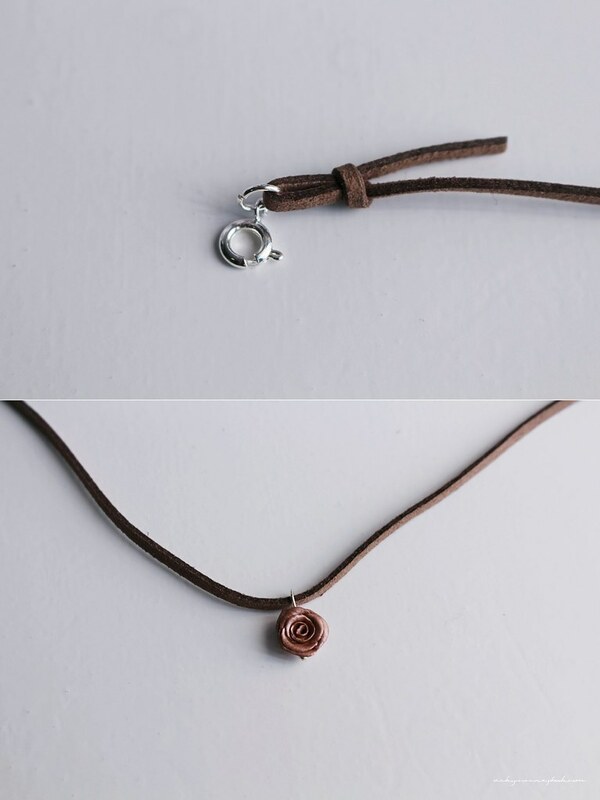 I’ve been loving chokers lately… this one is so cute! Nature inspired creations are simple and amazing.